" I got to give you some respect brother...you did it. You give a lot of hope to me and my son. You planned it, invested, put it together and recorded, and man what a recording!!! Your music is as good as anything pro I have ever heard or bought." "Dave Dave Dave! all the way from Nigeria. Keep the faith, the good works and good looks!" David Riviera Cirino, Jr. is a singer, songwriter, rapper, producer and engineer hailing from New Jersey. He was born on a U.S. Air Force Base in Delaware where his father, a staff Sergeant E5 with the U.S. Army and National Guard was enlisted. His father's Puerto Rican culture, as well as his mother's Jamaican heritage played a huge influence in shaping Dave's identity. From his earliest days, Dave displayed an interest in the arts, namely music and acting, as well as various sports like baseball, basketball and martial arts. As a young child, his parents encouraged his musical interests, enrolling him in piano lessons, as well as drum lessons in his youth. From there, he began to study music closely, learning vocals and music production through school-based programs, as well as individual lessons. As a teen, Dave was inspired deeply by Nas' "It Was Written" and D'Angelo's "Brown Sugar". The hip hop and soul sounds of these two artists would be a forecast for what Dave's signature sound would come to be. By further exposing himself to different artists from different genres, including Sam Cooke, Al Green, Chet Baker, LL Cool J and Louis Armstong, he took inspiration from their music. But it was the production and songwriting skills of J. Dilla and Static Major that made him want to become a one-man band, producing, editing, writing, mixing and composing his music himself. Dave began his career under the name "J-RE," recording songs about love, life and God for his first album "Love Chronicles." After spending a great deal of time in a South Jersey recording studio, he decided he wanted to have complete control of his recording career and abilities and began the construction of his own home recording studio. Through endless hours of research and trial and error, Dave created a home studio that contained equipment seen in professional studios. Wanting to share the knowledge he had learned through building his own studio, Dave began a series of YouTube tutorials for aspiring artists, producers and engineers looking to do the same. The videos have become a sensation that are viewed around the world. His YouTube channel currently has more than 1 million views. Continuing in his style of self-producing, Dave and his partner DJ Statle, an executive at Sony Records, teamed up to start the indie digital label Purple Fox Digital, where they have released several mixtapes and EPs. In 2009, as a tribute to J-Dilla, Dave released "Backpacks and Yak," a mixtape hosted by DJ Kool Kid. In its first week, it received 1000 downloads, was nominated for a mixtape award and generated a worldwide buzz. Shortly after its release, Dave was selected to be the feature artist on MySpace in February of 2009. The honor followed his spot as YoRaps featured artist the year before and Music Remedy's feature artist from 2008-2009. Shortly thereafter, Dave released the futuristic EP "SpaceMan" domestically and abroad. The EP has enjoyed significant success, especially in Japan, where Dave has built a solid fanbase. Fascinated by Japan's natural beauty and unique culture, Dave created a website for his fans there, written in the language. He also released the single "Tokyo Love" as a love letter to his Japanese fans. 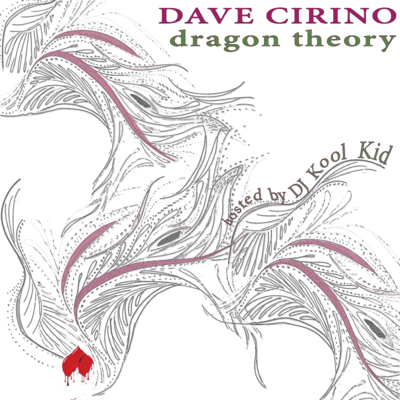 Following on the heels of the success of "SpaceMan" and "Backpacks and Yak," Dave released his second collaboration with DJ Kool Kid, the mixtape "Dragon Theory." The latest mixtape, a mix of hip hop and soul, is available on datpiff and iTunes Japan. It is the first release in the Dragon Theory series. Through Purple Fox Digital, Dave and Statle have worked with major producers, including Focus and Megahurtz, and founded the hip hop group, The Arttikz. Dave has also partnered with Aperture Music, a company which is licensing his music around the world. In addition to his music, Dave has honed his engineering skills, completing a professional certification under the tutelage of Lee Evans, a longtime music producer for Afrika Bambaata and Marc Anthony. His most recent accomplishment included engineering a show for world-renowned fitness legend Billy Blanks. He is currently working with a New York-based sound engineering company that records material for animated productions and commercials. Dave is also an actor and natural bodybuilder, who is currently training for a role as an action hero in a film which is soon to begin production.